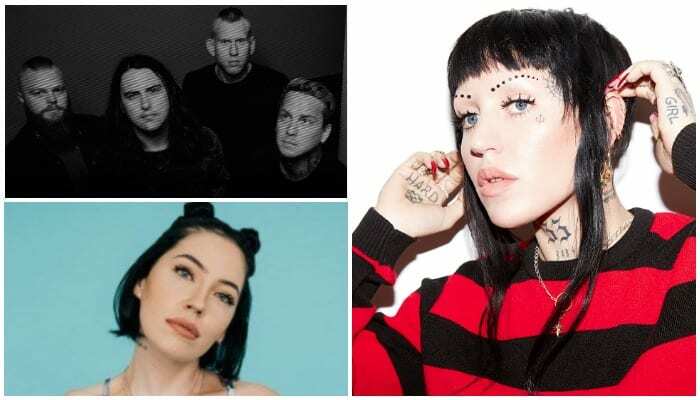 Bishop Briggs shares new acoustic cover, and Small Talks announce upcoming album. The second annual INKCARCERATION festival will take place July 12-14 at the famously haunted Ohio State Reformatory. 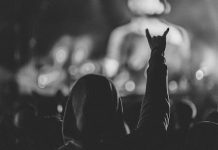 This festival hosts over 30 of the world’s biggest rock bands, and showcases 70 international tattoo artists. This year will also include haunted attraction “Escape From Blood Prison,” which is typically reserved for Halloween. Last year’s lineup included Rise Against, A Day to Remember, Suicidal Tendencies, Sevendust and more. This year’s lineup will be announced in January. You can find ticket information right here. Pale Waves hit the Late Night With Seth Meyers stage this week. They performed their hit “Eighteen” from their new album My Mind Makes Noises, available everywhere now. The band are heading out on tour in support of their new LP. You can grab tickets here. Supergroup Radar State shared their new garage-punk song “Anywhere” featuring Lenny the Tortoise. The band consists of Matt Pryor and Jim Suptic (The Get Up Kids), Josh Berwanger (The Anniversary/Berwanger) and Adam Phillips (The Architects/The Gadjits).The track comes from their debut album Strays, available everywhere Jan. 11. The band will be playing shows in celebration of their upcoming release, and tickets are available here. Frank Turner joined Arkells to perform a new version of the latter’s “Hand Me Downs.” The electronic and acoustic fusion creates a powerful ballad that will be stuck in your head all day. The original track appears on Arkells’ Rally Cry, which the band will be heading out on tour to support. $1 from every ticket sold on the tour will be donated to Al Otro Lado via Plus1, an organization aiding the refugee crisis at the southern border. Tickets are available here. Born Of Osiris shared their new music video for their song “The Accursed,” from their upcoming album The Simulation. This album will consist of eight songs and is part one of two, according to guitarist Lee Mckinney. The album is due out Jan. 11 and preorders may be placed here. You can catch the band on tour this winter. Tickets are available here. Small Talks shared a brand-new music video for their track “Oceans.” Their song comes from their debut album A Conversation Between Us, out Feb. 1. Preorders can be placed here. The band are supporting With Confidence, Broadside and Sleep On It on tour this fall. Tickets are available here. Brooke Candy just dropped her new track “Nuts” featuring emo rapper Lil Aaron. This track combines heavy pop-punk influences with rowdy basslines and, of course, lots of rap beats..
Cane Hill shared their title track for their upcoming EP Kill The Sun available everywhere Jan. 18. The band take a break from going hard on their tracks and toy with a “semi-acoustic” sounds. The band are heading out on tour in the winter with Sevendust, Tremonti, Lullwater and Kirra. Tickets are available here. Bishop Briggs had great success with her song “Baby” as her music video from September already has over 2 million views. She just released this single acoustically. Briggs is hitting the road and performing at several music festivals this and next year. You can grab tickets here. VERIDIA shared their a new video for their electronic track “Numb.” The song comes from their album The Beast You Feed, available now. The Billboard charting album was produced by Matt Squire (Panic! At The Disco, the Plain White T’s).